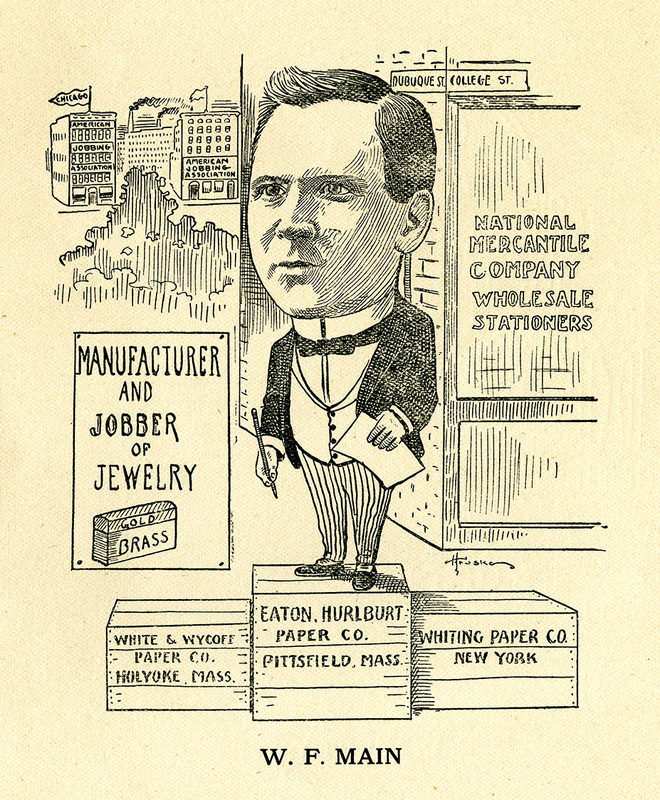 Willard F. Main ran a jewelry and stationary business at 127 ½ Dubuque Street. His home was listed as East Iowa City in the 1908 City Directory. 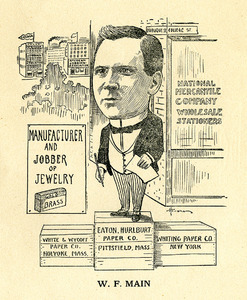 The 1909 City Directory lists him at Garden and Friendship. The company began as W. F. Main Co. in 1888. He later sold the business and it was renamed Puritan Mfg. Co. The factory was on Friendship Street. The 1909 City Directory lists him at Garden and Friendship. According to the 1910 Census, his wife was named Jeanette R., and they had two daughters, Ruth J. and Mary L. He was born about 1860 in Minnesota. The attached article was published in the Iowa City Daily Press on April 25, 1905. The bankruptcy article comes from the June 6, 1911, issue of the Iowa City Citizen. The Iowa State Press published the "East Iowa City" article on April 13, 1899. Hruska, “W. F. Main,” Iowa City Public Library, accessed April 24, 2019, http://history.icpl.org/items/show/2035.